Stages of Sleep: What Goes on in Your Body and Your Mind? Louis Charles Henri Piéron (1881–1964) was one of the founders of French psychology. He wrote his encyclopedia, Le Problème Physiologique du Sommeil (The Psychological Problems of Sleep) in 1913. It took a long while to hear from another scientist. Dr. Nathaniel Kleitman (1895-1999) started his work in 1920s Chicago trying to figure out the regularity of sleep—circadian rhythms—eventually became the “Father of American Sleep Research” and wrote the book, Sleep and Wakefulness in 1939. It was not until 1953 when Dr. Eugene Aserinsky (1921-1998) studied sleep characteristics and sleep deprivation, leading him (with coauthor and advisor Kleitman) to make the landmark discovery of REM (rapid eye movement) during sleep. Kleitman must have been a very good teacher because another of his students, Dr. William C. Dement (b. 1928) went on to describe the cyclical nature of sleep, noting the dreaming side of sleep and REM in the late ‘50s. Almost like choreography, a person in preparation for bed may check to see if the house is locked, open a bedroom window or adjust the temperature of the room, punch up his pillow, read for a few minutes and then turn out the light. Whether those are parts of your routine is relative; what is important is that some people cannot get to sleep until meeting certain conditions. 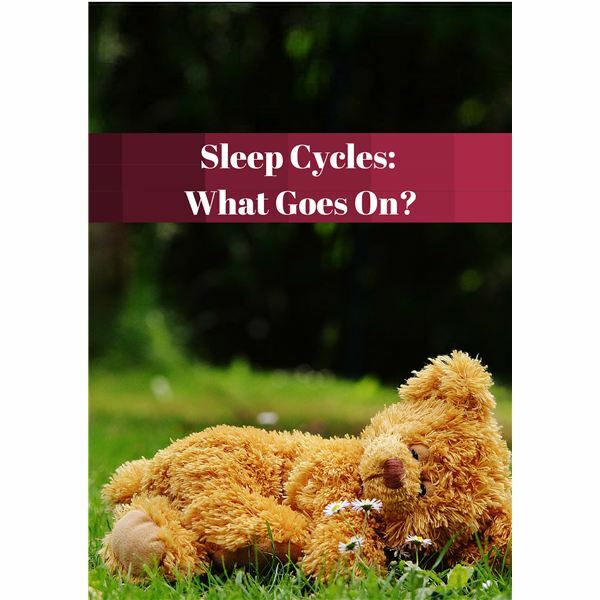 Since it is a complicated physiological state, it is difficult to define sleep. One accepted description is being unaware of one’s external environment. If you are not yet sleeping you may hear the rain outside, feel the smoothness of the sheets or notice the breeze coming from the window, but that changes once you are asleep. It should take you approximately 15 minutes to settle and then often a mere few seconds to enter sleep. Researchers performed an interesting experiment trying to discover how long it took to enter sleep. The subjects tested had their eyelids taped open. A bright strobe light flashed before them every second. The test subjects were told to press a button after each flash to confirm they saw it. Generally, for 10 or 15 minutes, they kept up the tapping and then, nothing. They had fallen asleep in an instant, also proving that you can fall asleep with your eyes taped open. Researchers have identified the five stages of sleep, each with its own unique set of characteristics. The first stage of sleep is the transition phase. During the first few minutes, your brain goes from an awakened state to one where you are no longer aware of your external environment. The electrical activity in your brain is different from the awakened state just a few minutes ago. A soft touch, a whisper or a light going on can waken you. In this early stage, you may feel as if you are floating. Your muscles are relaxing and a feeling of ease or pleasure comes over you. Your breathing becomes regular, your muscles slacken and after 10 minutes, you enter the next stage. Similar to the first, your brain reflects another change in electrical output, you relax more overall, your heart and breathing slow and your body temperature drops. It would take a little more stimuli to wake you. You might react with a sudden jerk, arms and legs contracting and a startled feeling. You are under this “twilight sleep” of stage one and stage two for about 30 minutes. The third stage is characterized as descending into deep sleep. This is a truly restful stage and a fulfilling experience. There will be little movement in your body, your heart rate and blood pressure have fallen (and become stable) and the brain slows regular activity. It has been referred to as “slow wave” sleep. Awakening now would leave you groggy and confused. A child who falls asleep and reaches this level of sleep can be lifted up and taken to the bedroom, acting as if he is in a coma. Children don’t wake up when moved, may speak in drowsy garbled language, hang limp when being carried and readjust quickly when set down. The sleep of babes. Next morning, he won’t recall the movement. Returning to this ground level takes time to get back to normal thought processing. During this time, growth hormones rise. This is when your body restores both physical and mental capability. This is a deep restorative phase and lasts 20 to 40 minutes. You then begin to climb toward the awakened stage, enter twilight-zone sleep again and come closer to the aware state. This is typically when you turn over and adjust your pillow. This partial awakening then dissolves back into deeper levels of drowsiness. Hello, Dreamland. REM sleep is the time you can star in your own movie in Technicolor and with sound, but in your own mind. Observing someone in REM sleep shows flicking motion of the eyeballs behind closed lids. If awoken at this time, you may be able to recall your dream (and could write it down or it will be fleeting). Your eyes have been moving back and forth seeing what your brain imagines. It is interesting to note that although the body is still, the electrical brain activity is almost the same as when you are awake; the heightened brain activity and decrease in peripheral muscle activity—referred to as a profound paralysis of muscles—is characteristic of REM sleep. The impulses in your brain are blocked high in the spinal cord, preventing you from moving any of the large muscles. It seems to be chemical rather than mechanical. And temporary. The first period of REM sleep of the night usually begins about 90 minutes after you start drifting off and lasts for about 10 minutes with the final pattern lasting an hour. The rest of the night the sleep cycle of REM alternates with deep sleep and adults may experience three to five such cycles per night. During REM sleep, more blood flows to genital organs creating penile erection in men and clitoral engorgement in women, even if dreams are not sexual in content. In fact, healthy men may be in erection 20 to 25 percent of the total time asleep. Finally, you don’t snore during REM. Snoring occurs more frequently in deep sleep as the result of the vibrations in the soft palate and uvula, the long flap of tissue that hangs down your throat. In stage four sleep, children are most likely to suffer from bedwetting or sleep terrors. Scientist reason that “partial awakening” is what evolving species do to check the security of their sleeping environment. Medical patients under drugs develop skin ulcers (bedsores) from the weight of the body pushing down and forcing blood to pool in bed contact regions. Heart attacks and strokes are common at night and researchers feel it may have something to do with an increase in blood pressure and pulse responding to the emotional effects of dreams. The National Sleep Foundation recommends we get this number of hours of sleep according to our age. Caldwell, J. Paul, MD. Sleep: Everything You Need to Know. Willowdale, Ontario Canada: A Firefly Book, 1997. Book.